Even though Google introduced Project Fi over 2 years ago, chances are that you haven’t heard of it. I’m here to convince some of you to ditch your old carrier for Fi—Google isn’t even paying me to write this, that’s how strongly I believe in their service. Project Fi is a completely new approach to how you think about cell phone carriers; remember when you used to pay a boatload of money every month for cable, how you could only watch shows when they aired, etc., and then Netflix came along and shat all over cable companies? Google is trying to do the same thing to cell phone carriers. Project Fi is a prepaid plan, so there's no contract to sign or termination fees. But unlike regular prepaid plans, you get 3 networks for the price of one: Project Fi seamlessly switches your phone to the fastest of three 4G LTE networks (Sprint, U.S. Cellular, and T-Mobile), and gives you free access to 1 million secure Wi-Fi hotspots. You pay $20 for unlimited talk and text, plus $10 for each GB of data you use. Additional phones are $15 per month and use the same data bucket. Project Fi has another feature that I love that Google doesn’t get much credit for: you can order free, data-only SIM cards and stick them into whatever device you want, at no extra charge—it just pulls from your usual data bucket. My absolute favorite aspect of Project Fi is that you only pay for how much data you actually use. For example, I’m almost always connected to Wi-Fi, so I only end up spending one or two dollars a month on data. 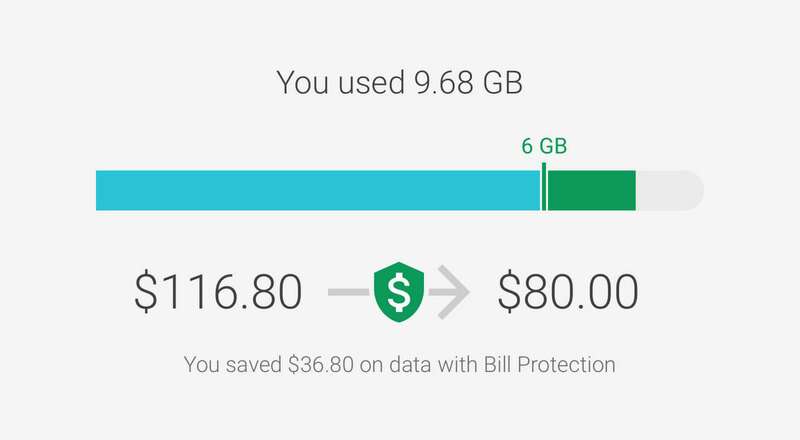 If you use a ton of cellular data, Google has you covered: you’ll never pay for more than 6GB of data; after you hit the 6GB mark, Google covers the rest. Another plus, you can use your phone abroad without having to do anything extra. Pay the same rate of $10/GB in 135+ countries and territories, with unlimited texts and low-cost calls abroad. Another great thing about Project Fi: pure Android phones—no manufacturer and carrier bloat; plus, when Google releases an Android update, you get it right away. Currently, 6 phones are compatible with Project Fi, 3 of which are currently for sale by Google. Discover a better way to capture, store, and see the world. 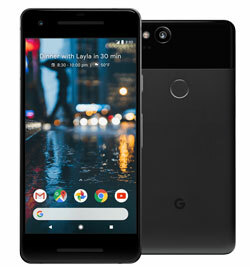 Pixel 2 features a smart camera that takes beautiful photos in any light, a fast-charging battery and the Google Assistant built-in—starting at $649 or $27.04/mo for 24 months. 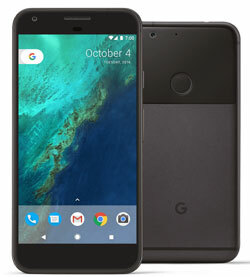 Meet Pixel, a phone by Google. Pixel comes with the Google Assistant ready to help, a camera that takes brilliant photos in any light, and a fast charging battery that lasts all day—starting at $549 with activation or $22.88/mo for 24 months. 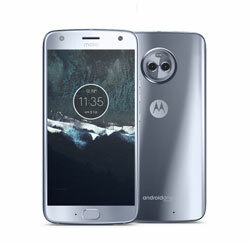 Tap into the best of Android on the Android One Moto X4, pairing premier hardware with a best-in-class Google experience. Enjoy all-day battery with ultra fast charging and feature-packed dual rear cameras—now $299 with activation or $12.46/mo for 24 months. In the year that I’ve been using Project Fi, I’ve never once had a problem with connectivity, as Project Fi automatically switches between networks depending on signal strength and speed. It automatically connects to Wi-Fi hotspots with data encryption through an automatic VPN. Phone calls seamlessly transition between Wi-Fi and cellular networks. With all networks combined, Project Fi covers more than 135 countries around the world. Check to see if your favorite spots are covered by Project Fi. If you're tired of your cell phone service provider taking advantage of you, then we definitely recommend Project Fi—it's the choice for you. Gone are the days of limited choices and limited coverage with cell phone providers. Google's Project Fi has you covered basically anywhere you can go, and it is ever expanding to further suit your needs—we recommend it highly!